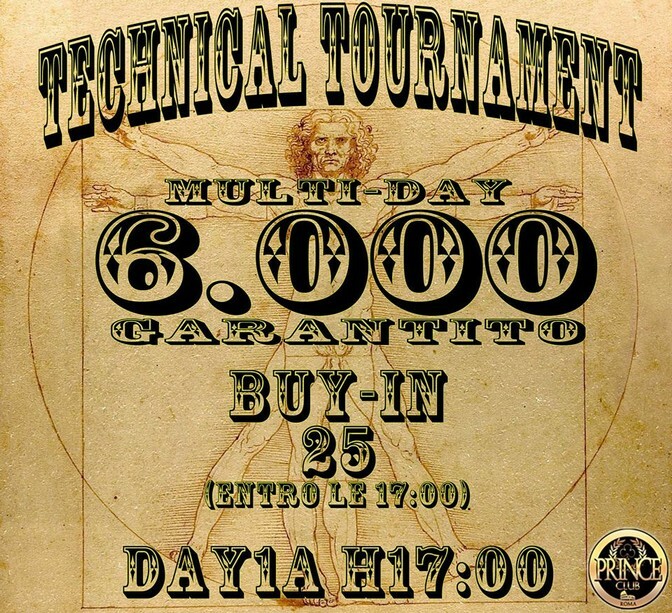 PRINCE POKER - TECHNICAL TOURNAMENT 6.000 GARANTITO! - Texas Holdem Poker - Tornei Live di Poker a Roma. PRINCE POKER - TECHNICAL TOURNAMENT 6.000 GARANTITO! IL MULTIDAY CON IL BUY IN PIU BASSO E LA MIGLIORE GIOCABILITA'! SE ANCORA DEVI PROVARLO COSA ASPETTI?